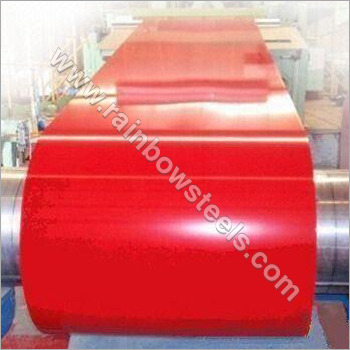 We are an innovative manufacturer, supplier and exporter of a premium range of Color Coated Steel Coil. Certified-grade steel are used in their manufacturing to assure that they surpass the set global standard of quality. These coils are coated with organic layers to provide resistance to corrosion and enhance their life span. Their high tensile strength provides extended life-span and ability to well perform. Our offered Coated Steel Coil have a high-utility in various application areas including construction, furniture, electrical appliance, etc.